The monsoon season and the rains that come with it is over. 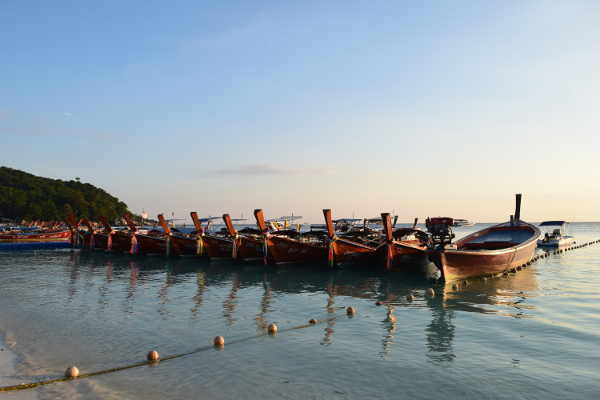 Koh Lipe Island is now entering the high season and with that the weather improves and calmer seas arrive. With the better weather we see the introduction of the high season ferry timetable. Ferries from Langkawi to koh lipe and Koh Lipe to Langkawi start running. These ferries are only available during the high season. Ferries depart from Langkawi at Telaga harbour and Kuah jetty. Not much has changed from the previous season. Ferry times are almost the same. Ferries are running from Telaga harbour at 9.30am and 14.30pm Malaysian time. From Kuah Jetty they depart 9.45am and 14.30pm. Return ferries depart from Koh Lipe to Telaga harbour at 10.30am and 16.30pm and from Koh Lipe to Kuah Jetty at 11.00 am and 15.45 pm. In addition to these ferries there are also other operators, who provide services to not only Langkawi but also to other destinations like Koh Lanta, Koh Phi Phi and Phuket. Plus routes to the smaller islands like Koh Bulon, Koh Kradan, Koh Muk and Koh Ngai. You can check times and prices here for all ferries departing Koh Lipe, Lankawi, Koh Lanta, Koh Phi Phi, Koh Bulon, Koh Kradan, Koh Muk and Koh Ngai. Further reading on all ferries to and from Koh Lipe is available here and further information on the Langkawi ferries including immigration can be viewed on our Langkawi to Koh Lipe page. Please note, ferries departing Langkawi are posted in Malaysian time and from Koh lipe in Thai time. There is a 1 hour difference between the countries. It is always worth noting that ferry departure times are subject to change. Reasons are very rarely given by the operators. If you have departing flights, make sure you give yourself plenty of time to clear customs and immigration.